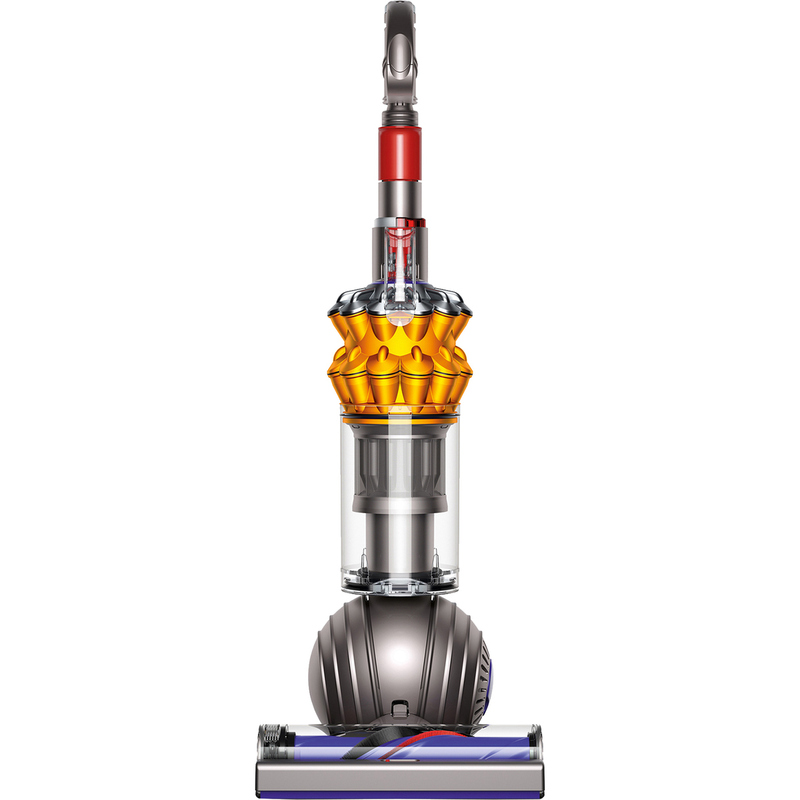 The Dyson Small ball vacuum is Dyson latest compact upright. It combines the performance of a full-size vacuum in a machine that weighs just 12.15 lbs. It has a retractable handle that saves up to 50 percent more storage space than the Dyson ball upright, while the self-adjusting cleaner head automatically seals in suction across carpets and hard floors. It has a combined cleaning reach of 42 ft. and generates 30 percent less noise than our previous compact upright.